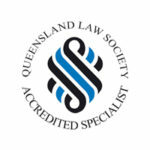 Two Accredited Specialists in Succession Law, dealing with Estate Planning, Estate Administration and Litigation. Family Law Accredited Specialist handling divorce, marital and de facto separation and financial agreements. Our team have high level expertise in all aspects of property, including conveyancing, commercial, retail contracts and leasing. Our Partners are Mark Ostwald & Craig Griffin. Our employed Solicitors are Chris Brinkley, Bob Cartwright, Ock Visser, Mehera Saunders, Clare Cartwright and Anna Richardson. With over 100 years of shared legal experience we offer clients a wide range of legal expertise in most areas of the law.